We are mpex - The Managed Platform EXperts! 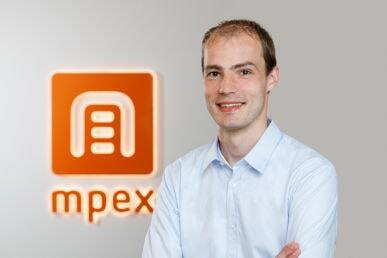 mpex GmbH was founded in 2000 in Berlin with the goal of managing complex server environments with finesse and expertise. We have come to focus on business customers and their hosting demands in challenging IT projects. We possess expertise in server virtualization and cloud computing as well as cluster projects with load balancing, disaster recovery and backup solutions. Why should you choose mpex? We help Lautsprecher Teufel - as a genuine e-commerce company - with a proactive capacity planning in the mpex cloud. Neofonie, a full service agency, demands smooth and reliable operation for its customer servers. The application service provider expands its use of Docker container technology. With nearly 20 million visits per month accessing dynamic content, radio.net relies on flawless performance by its application. As an ISO 27001-certified service provider, we can satisfy the stringent demands of Clincase with regard to confidentiality and data protection in clinical trials. Tailored hosting products that satisfy exacting requirements. mpex offers its customers cutting-edge technology with its highly available IT services. For an IT company to be truly successful, it takes people who can make technology understandable and are there for the customer. The blossoming of the Internet in the mid-90s did not escape the attention of two computer enthusiasts. The two Linux specialists converted their business idea into reality and offered an online portal for digital audio. What first began as a project generated by enthusiasm quickly developed into a professional and profitable company. The company adapted to market conditions and started operating its own servers, soon to be followed by customer servers, in addition to the original project. The subsequent success brought with it continuous expansion that has endured to the present. The individual server cabinet was replaced by entire rooms in a data center, and the two-man company became a large team of computer specialists and consultants: MPeXnetworks was born. Initially conceived as an IT service provider for private customers and large companies, MPeXnetworks began specializing exclusively in business customers a few years ago. By continuing to follow this strategy, we are able to successfully support companies that focus primarily on highly available server systems and provide them with outstanding customer service. In 2014 and 2015, we continued to develop our strategic alignment. In our brand relaunch in June 2015, this development was expressed in the form of a new logo and slogan as well as a more accessible name: MPeX.net GmbH became mpex GmbH. The brand MPeXnetworks was also reconfigured as mpex. Since the founding of the GmbH (limited liability company), more than 15 years have passed, and we are proud to look back on the company history of mpex. Today, our satisfied customers look to us as a reliable and approachable IT company that focuses exclusively on business customers and managed services. We refuse to distinguish ourselves with cheap solutions and offer instead cost efficiency and individuality while planning and implementing challenging IT projects. However, one thing has never changed over the development of mpex: The initial passion for the company remains uninterrupted for the two friends and managers, Lars Bräuer and Gregor Rex-Lawatscheck. Would you like to learn more about us and our services? Gregor Rex-Lawatscheck is your contact person for press inquiries.